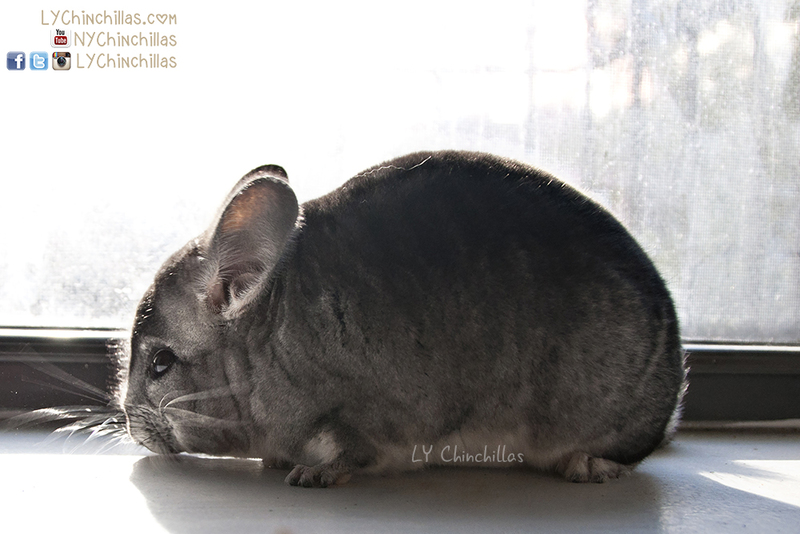 Today, I’m going to share my chinchilla diet with all of you! Now, I’m sure that there are many amazing owners out there that choose differing approaches, and that’s not to say that any method is better or worse than others (although there ARE chinchilla basics to abide by). Every pet owner, like every parent, has their own opinion regarding best practices for raising their chin-children. That’s simply how it is. Different countries adapt different standards based on experience and availability. For example, French, Russian, British, and other global owners will all have slightly differing opinions on chinchilla care. I suspect their level of love for the furries are equal, no matter their distance from one another. To start, pellets! As the foundation of my chins’ diet, I use Manna Pro SHO. Although Manna Pro SHO is a show quality rabbit food, it’s known to breeders and owners alike to be chinchilla-safe. Most rabbit foods are NOT chinchilla-safe, and I would advise against using most any foods intended for other small animals. About a year ago, I began mixing the feeds because after a brief trial run, it became evident that my chins were eating more with a combination of the pellets than with either alone. Although I started with a mix of Manna Pro and Mazuri, I found my chins to respond much better to Manna Pro SHO alone and decided to absolve Mazuri of its duties (over the course of several weeks, of course). Again, it’s all about preference and quality. Another basic element of my chinchilla diet is hay. I use 2/3 mix Timothy hay and 1/3 mix Orchard hay or another variety of grassy hay. I feed alfalfa hay twice a week at the same amount as the Orchard mix. I feed more to Koko, my youngest. Alfalfa is great for growing chinchillas and higher in protein and calories, so it makes for a delicious snack. I know some owners have picky chins, but hay is an essential part of healthy eating for chinchillas and should always be readily available for them – I’d suggest trying out different brands to find your chin’s favorite. I personally prefer Kaytee brand for most of my hays, as they are easy to find in my area and cut at a nice length, enough to serve without huge pieces or too many loose pieces (which chins won’t eat). Oxbow is a close second, if Kaytee’s not in stock. Now for the accoutrements! Aside from hay and pellets, I like to offer a variety of consumptive elements for my kids. Let me stress that hay and pellets should be 95% of their diet – the higher quality pellets and hay, the less your chin will require anything else. A semblance of choice is always great, but the basics should always remain fresh and available. As for food treats, it’s important to moderate consumption, and be sure to avoid giving treats to chins younger than 6 months old. Their growing bodies need to develop before incorporating treats into their diet. However, when chinchillas ready for treats, a big go-to for me are shredded wheaties! The spoon-sized sugar-free version of the cereal is a delicious wheat-based treat for the kids. They love the big crunch and the perfect portion. I’ll give them half a piece of shredded wheaties once or twice a week. Sugar-free Cheerios are also fun, but they contain more additives than the shredded wheat, so I’ll toss them a piece every few weeks. These treats are in no way a replacement for actual pellets or hay! Another nice treat for them are herbs and select flora, such as rose hips and marigolds. My chinchillas love these additions, but they are only offered once every few weeks. It’s important to research herbs prior to consumption, because most herbs contain medicinal properties. I also created a little supplement for my chins, consisting of organic rolled oats, a pinch of wheat germ and cold-milled flax seed. While I respect that many owners feel that supplements are unnecessary, I’ve found that the mixture stimulates overall appetite, and is perfectly safe. I portion out about 1 teaspoons every 2 months. A more “dangerous” treat for chins (quotations because of highly varying opinions) I allow my chins are three types of dried fruits: dried apple, dried goji berries, and more rarely, dried mangoes. I’ll give them one (not all three) of these treats once every 3 months, and very small pieces. They are high in sugar, which can lead to bloating and tooth decay in chins down the road, potentially shortening overall lifespan. However, as with humans and all of the world’s animals, moderation is key. Dried apples, mangoes, and goji berries are, in my opinion, better than craisins and raisins for the simple fact that they have a lower sugar content dispersed in a larger piece of the fruit. Raisins and craisins have a lot more sugar packed into a tiny little area, making them more dangerous for chins in the long run. Finally, the most controversial treats of all: nuts. I know owners love to crucify one another for feeding chinchillas nuts or seeds. I can see why – setting a precedent for other owners is a sticky thing – we all learn from one another, and gain knowledge from experience. That’s why I carefully approach this subject. Many are quick to say that chinchillas can’t digest fat. It is not true that chins can’t digest fat. They can; they simply cannot metabolize a lot of it (so to say, a diet high in fat and oils). A rare treat of an almond or sunflower seed benefits them with a safe dose of essential fatty acids. Being a responsible chin owner means knowing the difference between a rare treat and a safe treat is (yes, such as wood chews and select herbs and hays like alfalfa). I understand folks out there can see a video or a photo and think that owners like myself are perpetuating the idea that almonds and nuts are okay as frequent treats – but that’s not true, nor is it the intention. Nuts are not inherently deadly to a chinchilla, they are simply very unhealthy if intake is not strictly monitored. It’s ultimately a chinchilla owner’s responsibility to research safe, healthy treats to give to their pet. After speaking to breeders and owners alike who have cared for chinchillas that have lived up to 20 years, I’m not entirely convinced at the searing level of scrutiny placed on chinchillas consuming nuts – although yes, it does have some merit. I personally will allow my chins a sunflower seed or an almond sliver every 3 months. Please note these quantities are very, very low and I am insistent on low overall treat intake. As a final note, I’ll add that I always stay far away from processed treats – even if they’re from big brand names – because there is not enough research to support how chinchillas react to chemicals and additives. However, if human response is any parallel, we can see how negative of a reaction chins might have! If a treat has too many elements or looks more like it should feed a human more than a chinchilla, I’d skip right over it and look for organic options, preferably something that has not been treated or processed at all. In fact, making your own pellet and hay based chinchilla cookie is downright delicious and safe! Read my recipe here. And there you have it, folks! The LY Chinchillas diet! Feel free to comment or share, and definitely feel free to disagree with me. I have curated information from vets, breeders, owners, and my five chinchillas to come to my personal conclusions for what I believe are the healthiest and happiest ways to feed my chinchillas. I hope you do the same for yours!